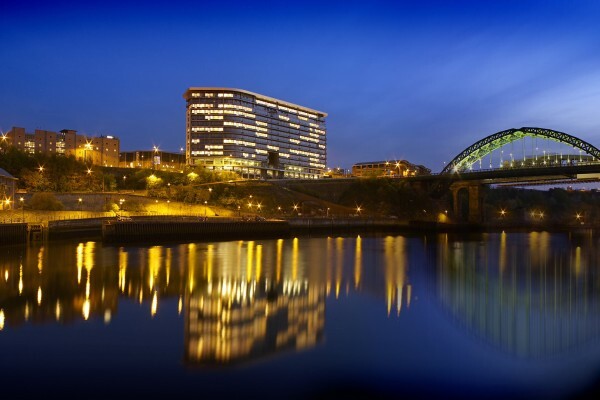 As project architect for Sunderland’s landmark apartment building, Craig Fitzakerly managed the £25m 15 storey, flagship scheme from inception to completion. As lead consultant from RIBA stages 0 to 7 the architect was appointed to deliver a new landmark, mixed use building at the entrance into the City that comprises of commercial space (restaurants / cafe) along with 179 residential apartments above. The building is situated on the historic site of the Sunderland Echo premises. It is one of the most challenging sites in Sunderland being on the banks of the River Wear, occupying a prominent location adjacent to the Wearmouth Bridge and West Wear Street, and being on the main arterial route in and out of Sunderland. CABE approved of the strong design influences that helped to transform this part of the city by improving the public realm and urban design. The design helped to resolve existing traffic and pedestrian problems and improve existing routes to, through and around the site and enhanced the setting of the site in relation to adjacent developments, creating public and semi-public open spaces. 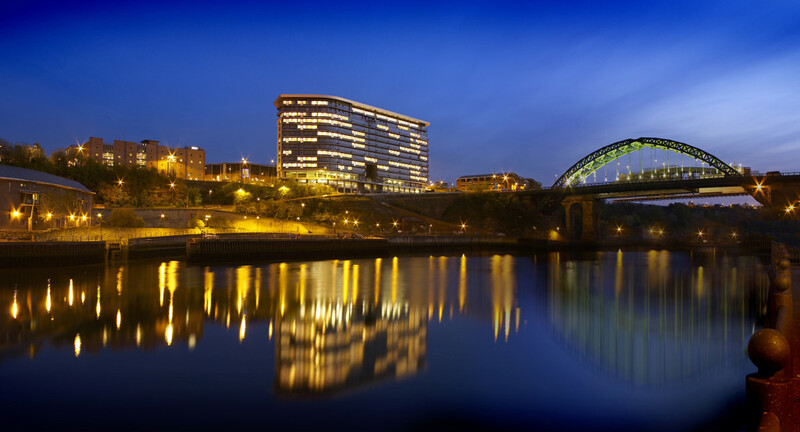 A north – south vista was created along the axis of John Street from the Winter Gardens in Mowbray Park, through the site and onto the River Wear. The key project challenges were addressed from inception. The detailed design was advanced from the outset by all parties and authorities being consulted and integrated into the design team at an early stage. Prefabrication also played a big role in reducing work on site in a challenging environment. Demolition, remediation of the contaminated site and a complex foundation system required acute coordination in this busy part of the city. Challenges were overcome by close collaboration with City of Sunderland Planners, Building Control, Highways & Public Health Departments including measures for refuse collection and recycling materials. We also worked very closely with Building Control, Corus and an acoustician to ensure the integrity of the fire protection and acoustic detailing to surpass Approved Document E and become a ground breaking project for Corus in steel framed, residential design. Meetings were held with the Northumbria Police Architectural Liaison Officer with regard to reducing the potential for incidents around the development for which we were commended. Future challenges were overcome by considering maintenance in the design phase. This included both the specification of materials, ensuring drips and water run-off was considered and designing out the opportunities for roosting birds. A 50 page window cleaning report was undertaken which included the window opening system, balconies and access for vehicles on the suspended forecourt. The balconies themselves were design to be used as scaffold access platforms prior to installation of the tensile wire balustrade for the enjoyment of the residents.